Premiere Pro CC vs Final Cut X: Which is the Best Video Editor in 2018? Of the many video editing applications available on the market these days and besides the quickly advancing DaVinci Resolve, Premiere Pro CC and Final Cut Pro X are still dominating as a preferred go-to option in the world of creative professionals in 2018. With drastically different design philosophies, feature sets and performance numbers, however, video editors are still debating which one of the two NLEs is the better choice for tackling day-to-day video projects. 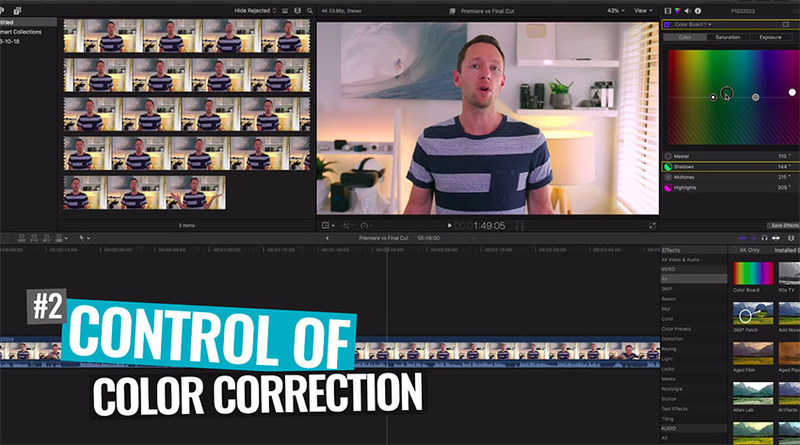 So, if you’re someone looking to identify the essential differences between the two platforms, you might be interested in the next video produced by Justin Brown of Primal Video who goes over five of the best features from both Premiere Pro CC and Final Cut Pro X, thus helping you decide which software will suit your post-production workflow better down the line. One of the best standout features of Final Cut X is without a doubt its incredible performance – both while editing and rendering. Since the platform is exclusively compatible with Mac computers, the software engineers at Apple have the invaluable advantage of optimizing the platform specifically for their machines. That being said, Final Cut Pro X runs insanely fast on Macs – even older models, rivaling the timeline and rendering performance of its competitors. Furthermore, the color grading tools inside of Final Cut Pro X are among the most powerful currently bundled with modern video editing applications. Brown even claims that the color grading assets seem more complete and feature-packed than the Lumetri Color tools of Premiere Pro CC. Even though this might not be true to a certain degree, we can’t deny the fact that the FCPX is getting closer, especially with its latest iterations. When it comes to editing, Final Cut Pro X’s magnetic timeline is definitely an odd editing experience included with the software. Even though it takes some time and effort to get used to, Final Cut’s unique magnet-like timeline helps editors move blocks of audio and video at once, thus speeding up the clip assembly process in post-production. In regards to assembly, the program’s intuitive search feature allows you to tag clips and use the search bar to look for items based on keywords. For large projects with hundreds of clips and layer and layers upon video, the search feature will definitely help you find specific pieces of audio or video at a moment’s notice. Lastly, going hand-and-hand with performance, Final Cut Pro X is a lot more stable compared to NLEs like Premiere Pro and DaVinci Resolve. With a reliable software framework, FCP X provides editors a piece of mind when it comes to retaining all their hard work, preventing users from having to constantly worry about saving their project file. 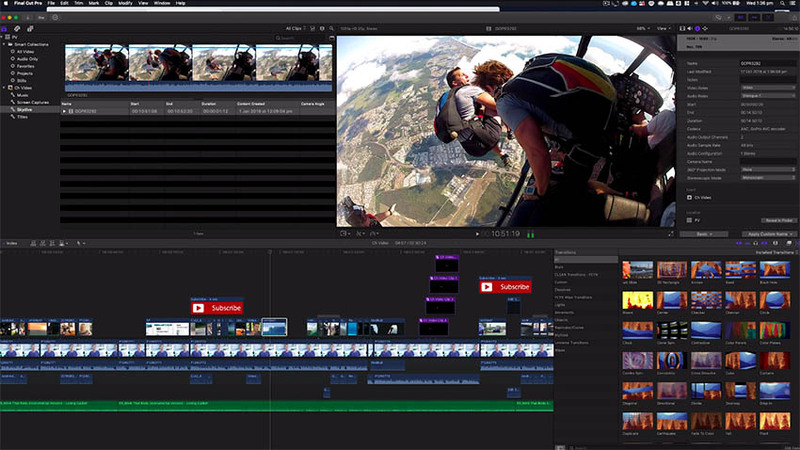 On the other side of the pond lies Adobe Premiere Pro, which happens to be a popular choice for collaborative creative work and team-based projects. Speaking of which, many video production teams opt to use Premiere Pro CC because of its cross-platform compatibility, running on both Mac and PCs. 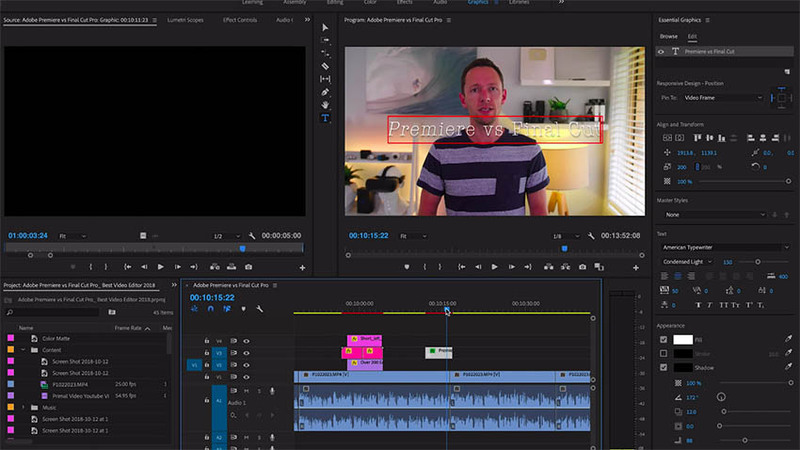 In addition, Adobe has released updates to Premiere Pro CC in recent years that have made project collaboration a much easier feat. Through the creative cloud system, coupled with the Adobe Teams interface, working with multiple users on a single video project has never been easier – a feature that Final Cut Pro X and DaVinci Resolve have yet to master as well as Adobe has. 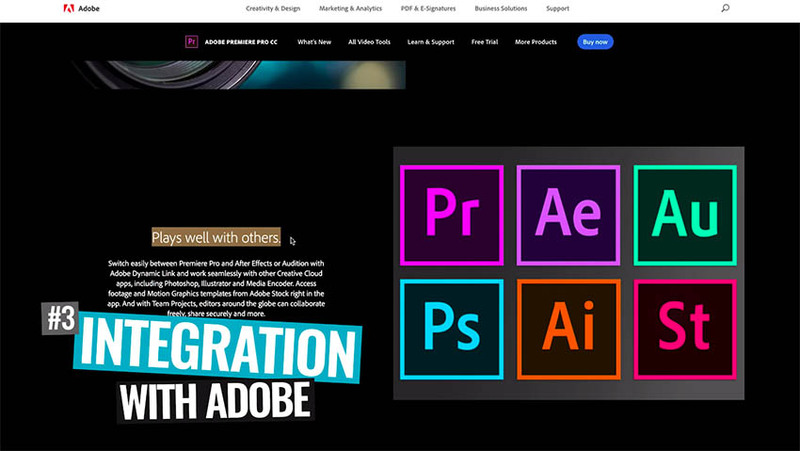 Because Adobe is the company behind Premiere Pro CC, the software is designed to directly and seamlessly integrate with the other apps in the Creative Cloud ecosystem. This includes After Effects, Audition, and Photoshop CC. With this integration, tasks such as editing audio and adding quick graphics composites are much straightforward and quick to complete. As part of the 2019 update, Adobe also released new hardware acceleration options in Premiere Pro CC. By enabling Hardware Encoding on export, render times are now up to par with Final Cut Pro X’s own performance – an impressive feature that the latter is made famous for. Do note, however, that hardware encoding is only available on machines with Intel processors. Finally, inside of Premiere Pro CC, the Essential Graphics Panel allows for easy editing of graphical elements in your video projects. Especially useful for episodic content, such as YouTube videos, the Essential Graphics Panel enables users to import their own graphics and edit the content directly inside of Premiere. This is perfect for lower thirds, intertitles or any other graphic element that needs to be customized on a per-project basis while editing on the fly. At the end of the day, there isn’t one video editing platform to rule them all. Rather than asking which NLE is the best hands down, it’s better to figure out which software will work best for your personal workflow. So, if you’re on a tight deadline and what the fastest, most efficient editing program available, you may consider using Final Cut Pro X. 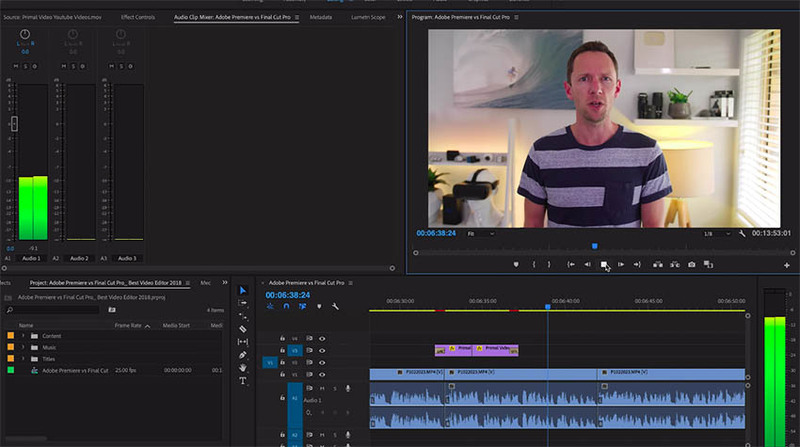 However, if you’re in need of a software that enables seamless collaboration and integration with other Adobe products, Premiere Pro CC may be the better fit for your creative workflow overall.